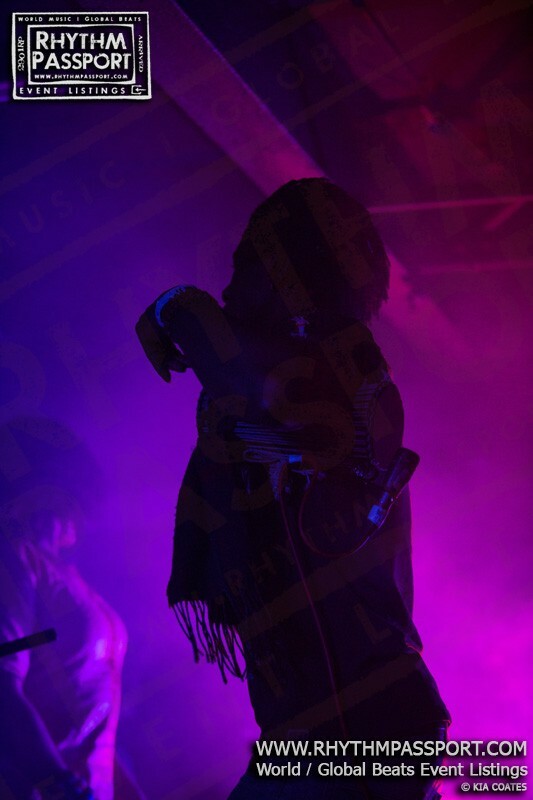 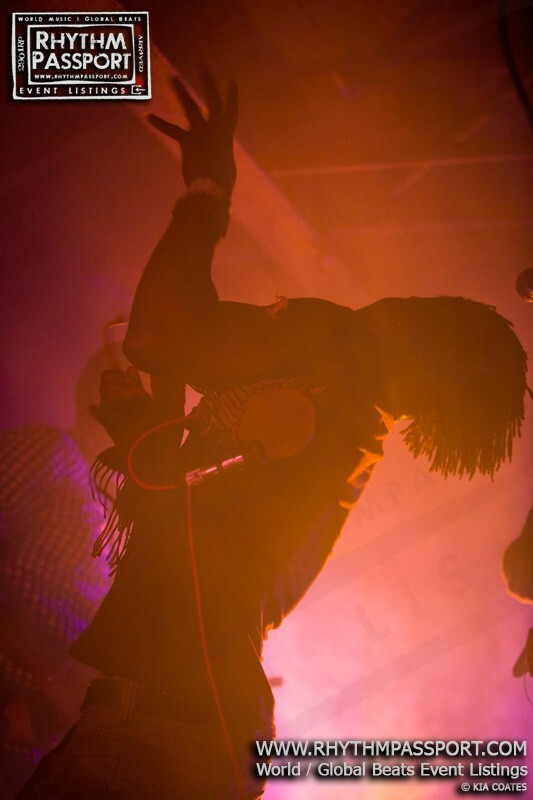 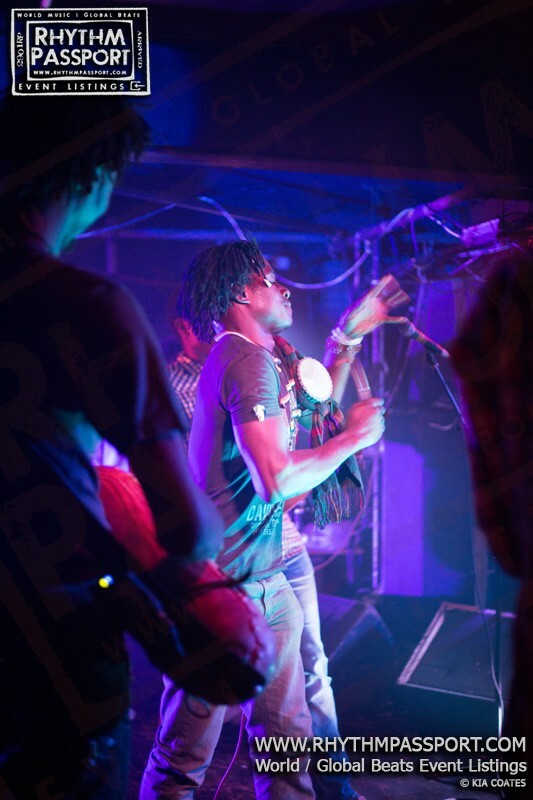 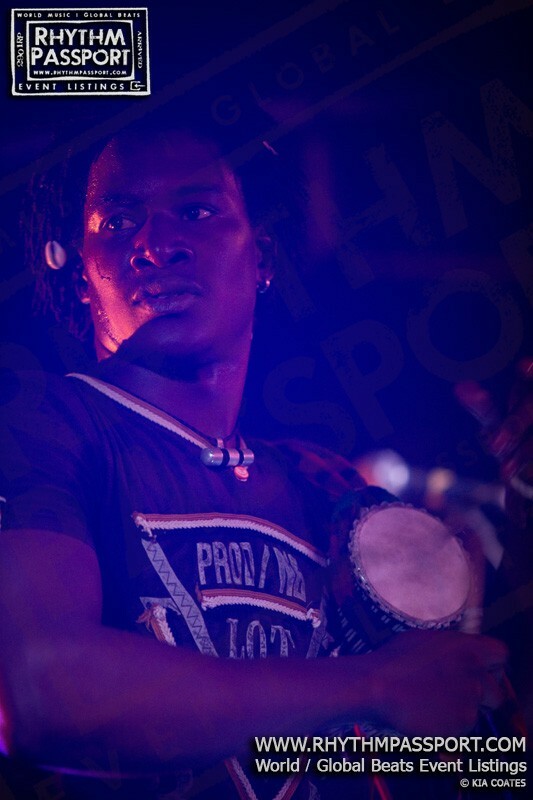 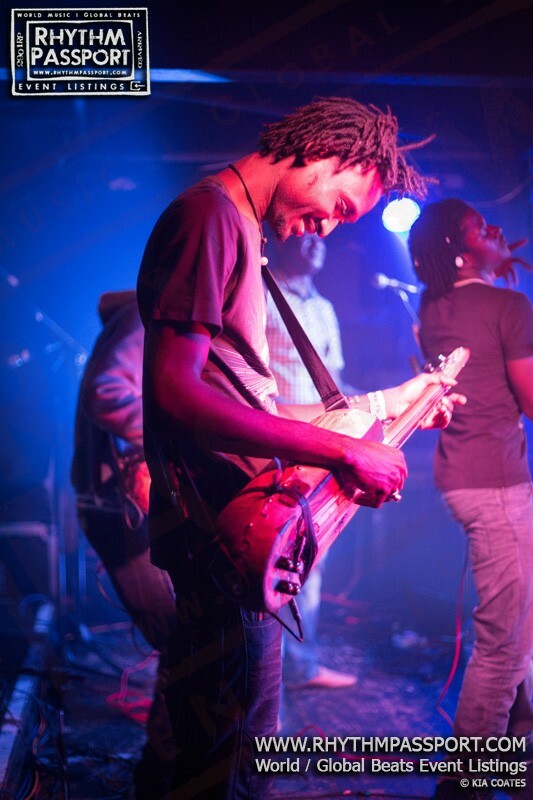 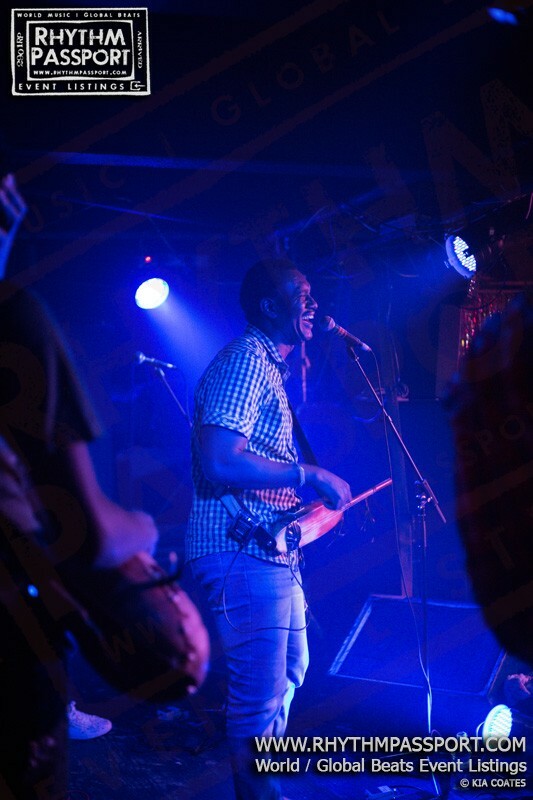 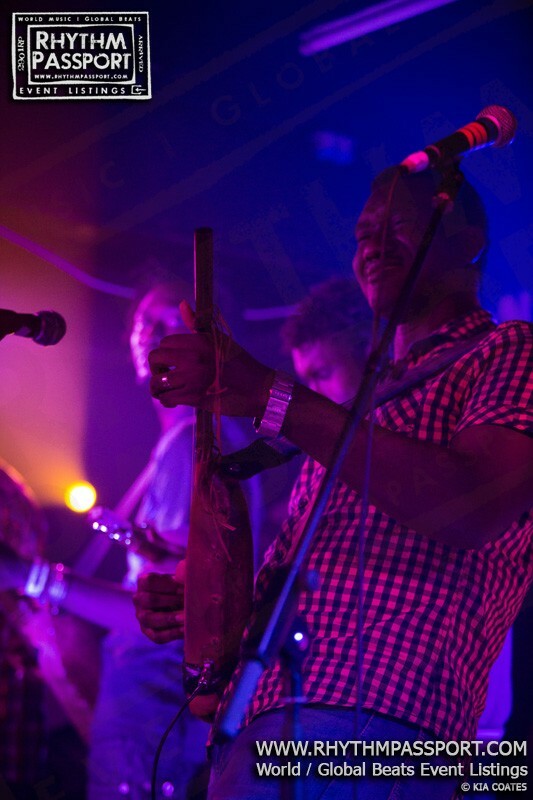 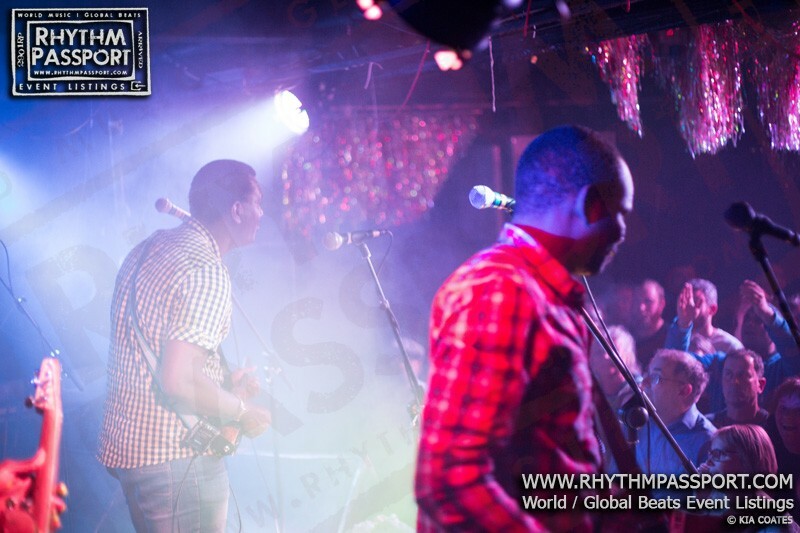 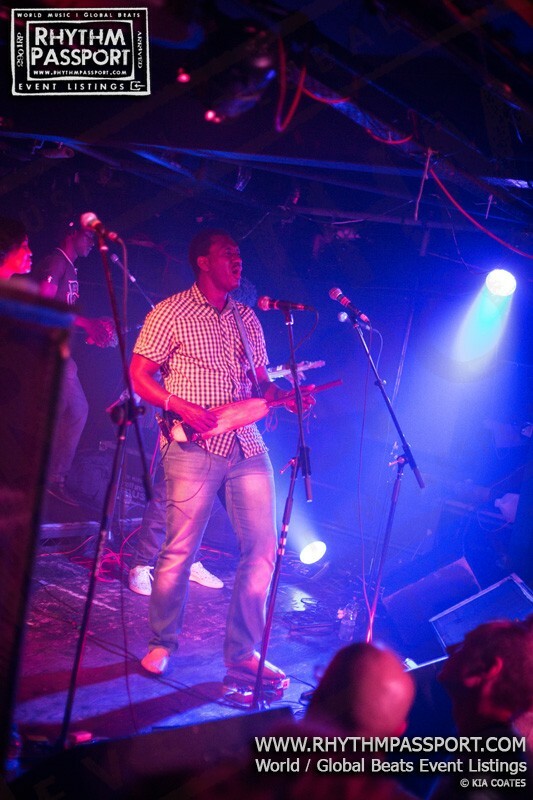 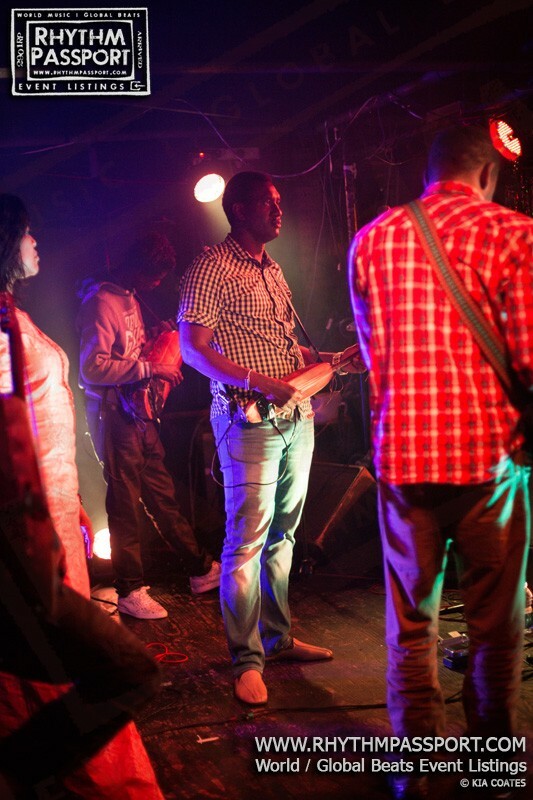 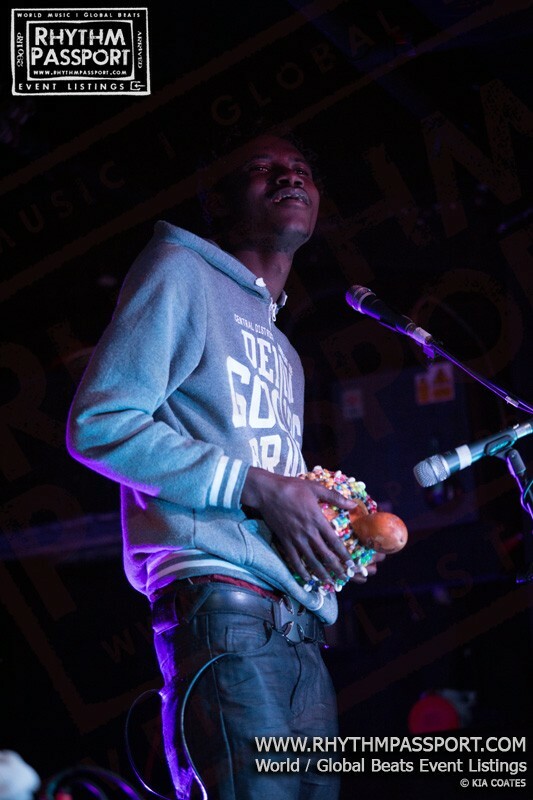 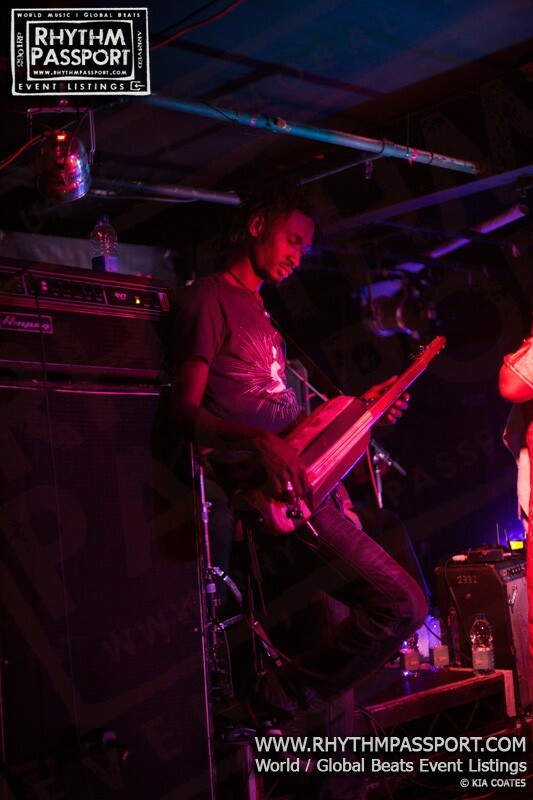 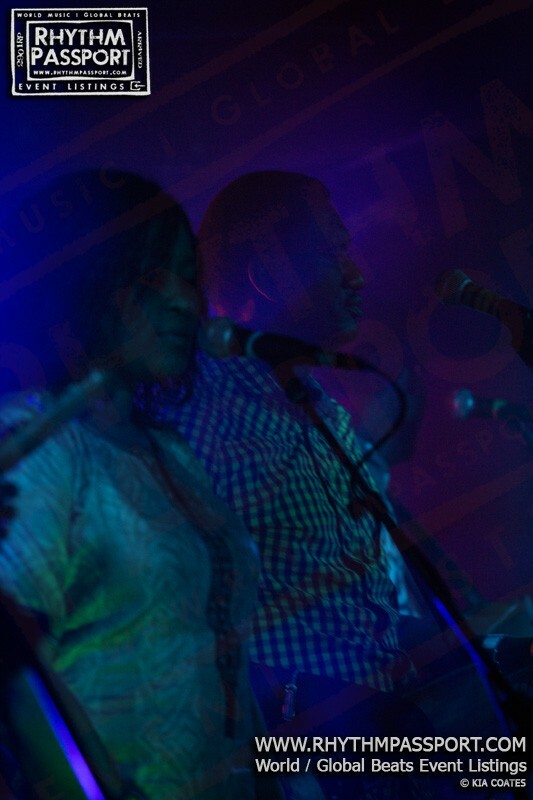 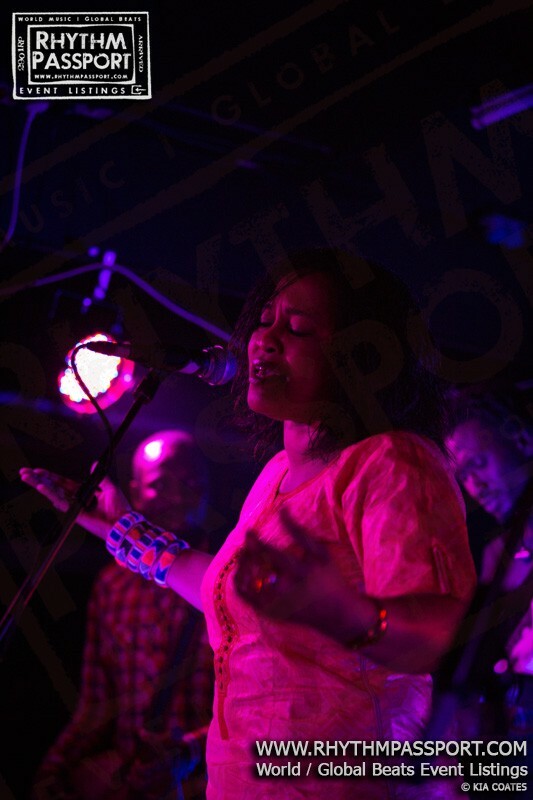 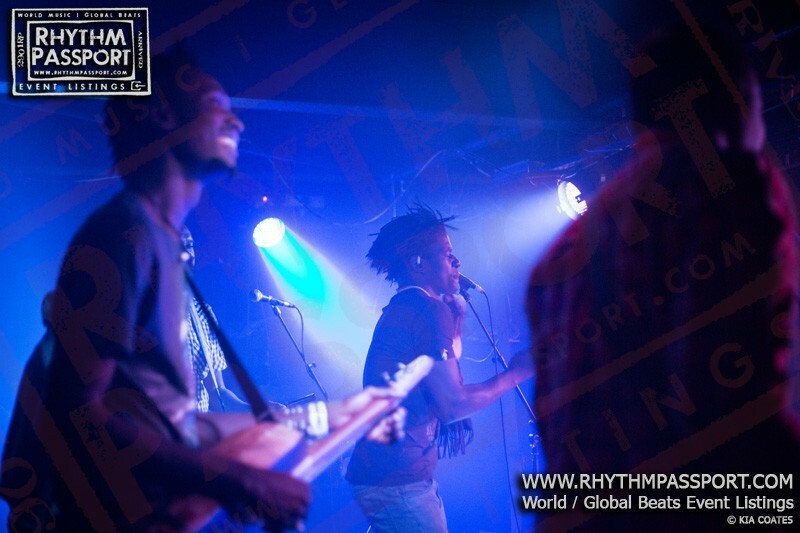 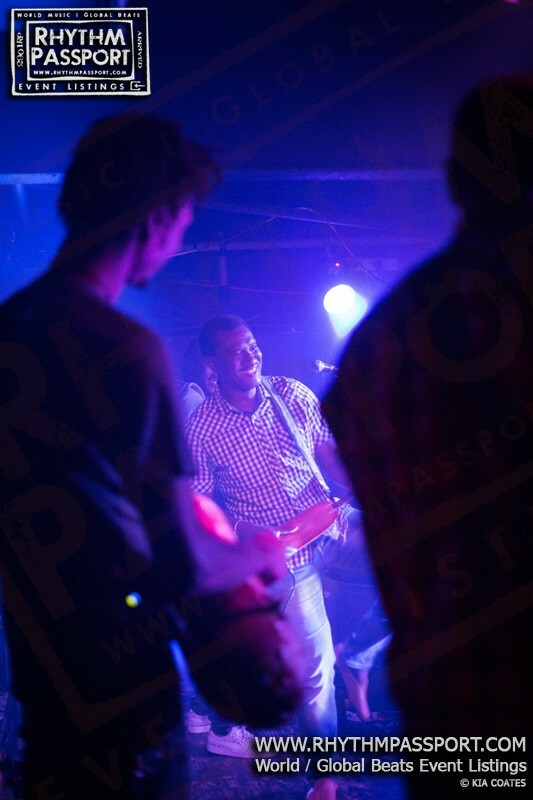 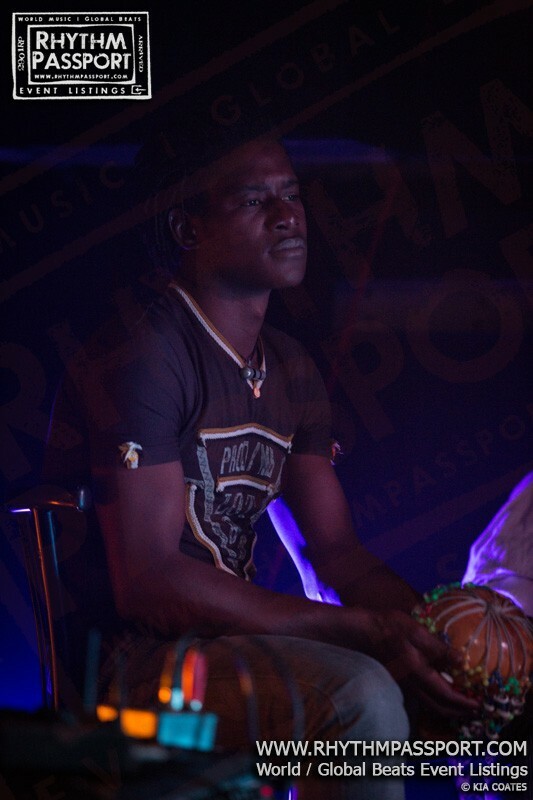 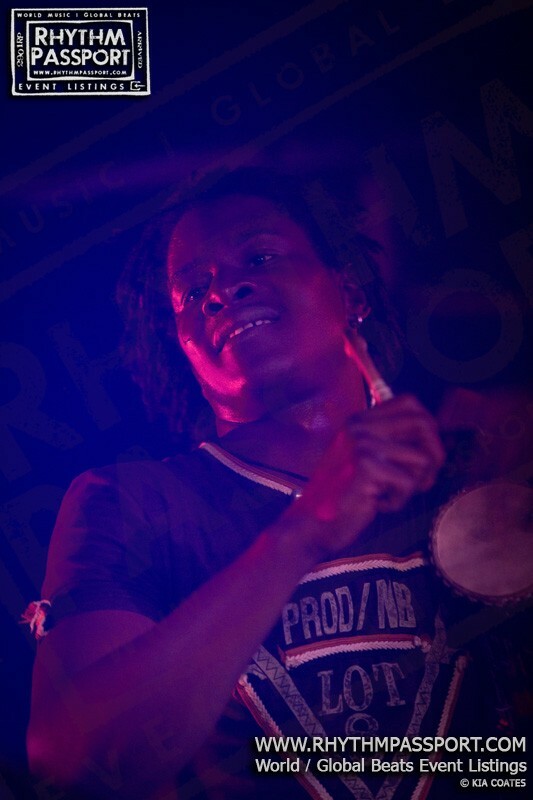 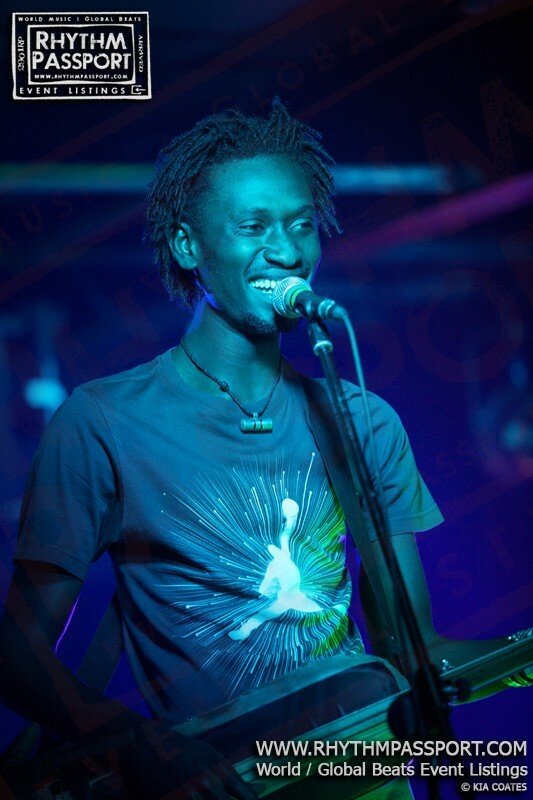 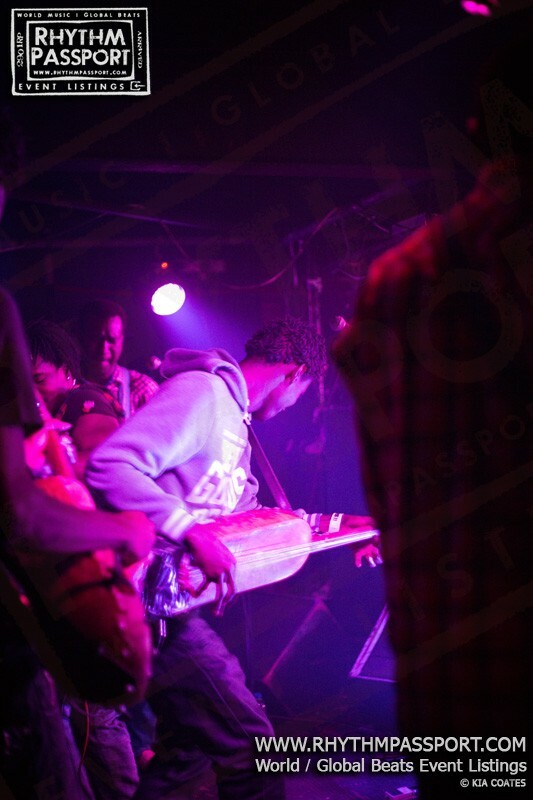 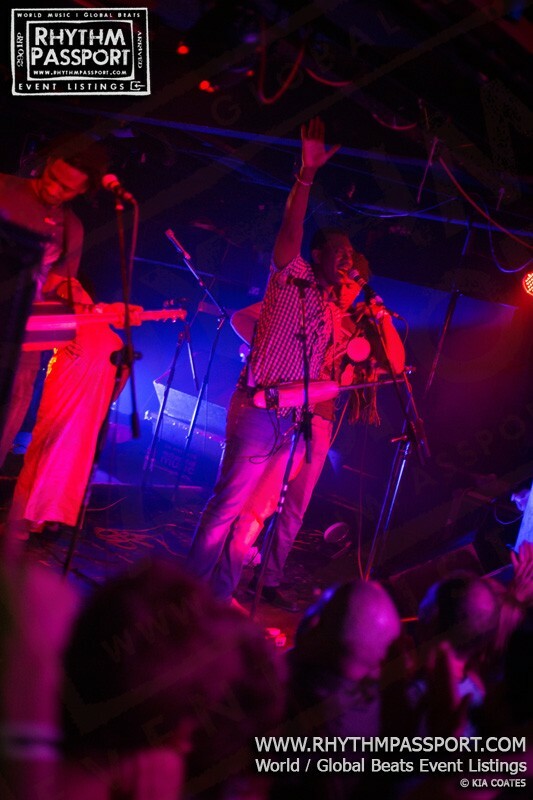 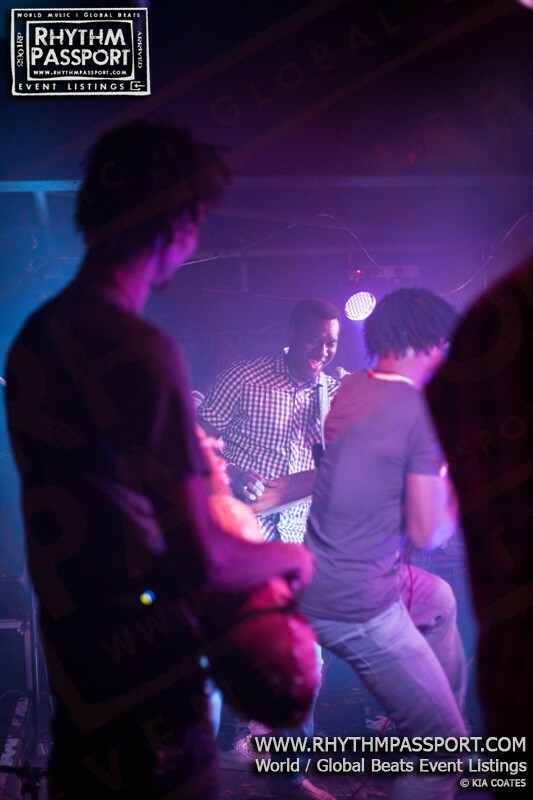 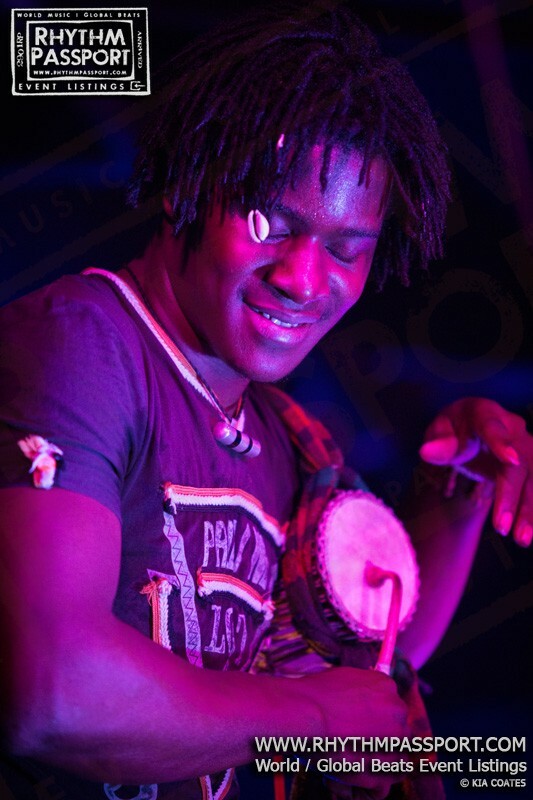 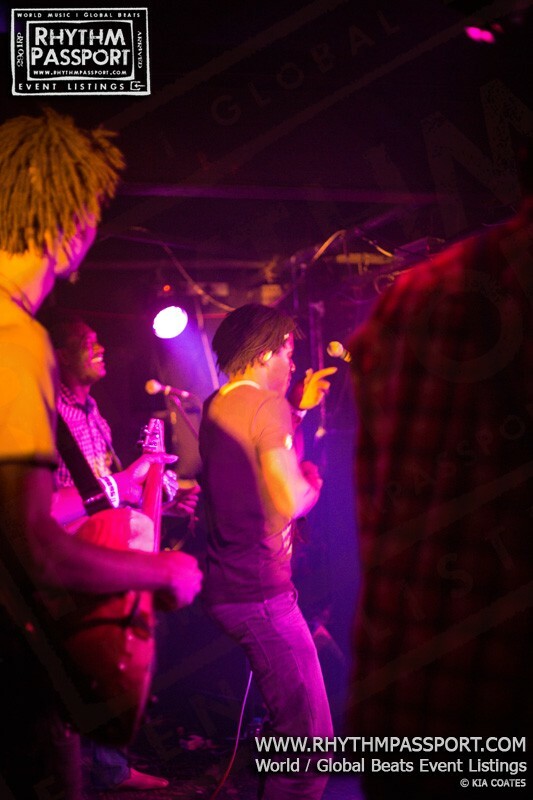 In the dark and dingy environment of Islington’s Electrowerkz Mali’s ngoni master Bassekou Kouyaté and his family band Ngoni Ba took to the stage to dazzle the audience with their dexterity and musical traditions. 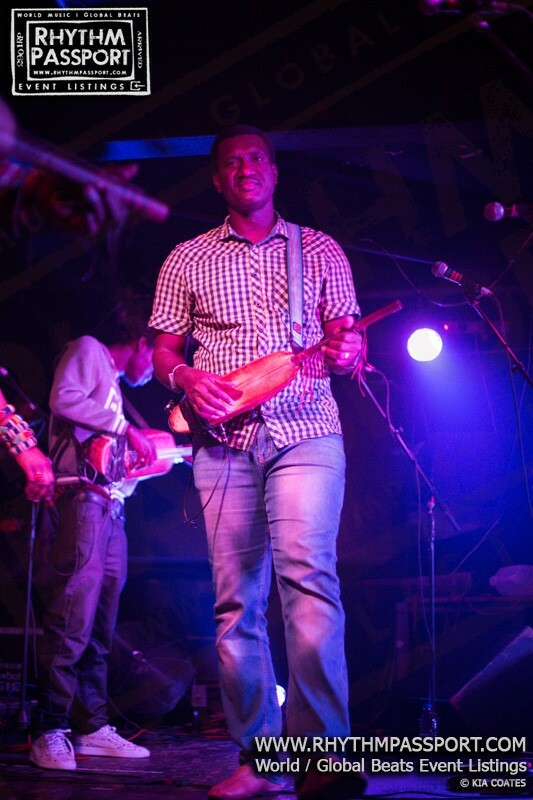 For the uninitiated, the Ngoni is the African precursor of the banjo and guitar dating back several centuries. 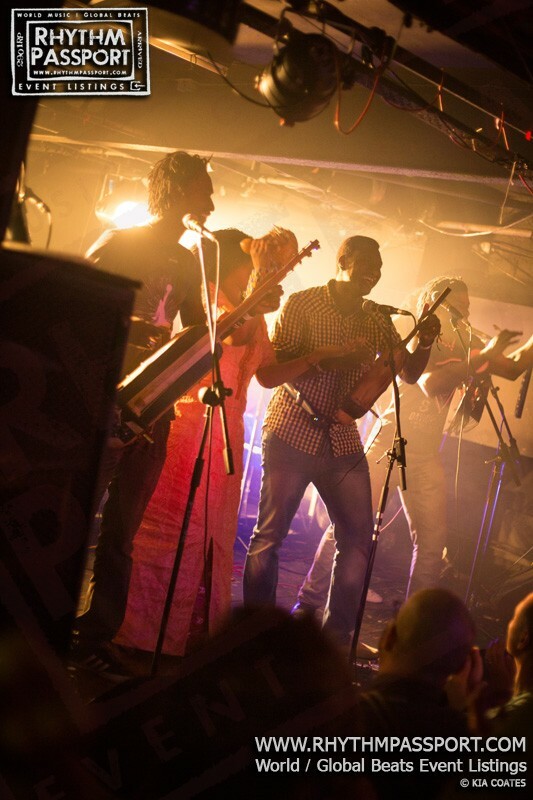 A plucked stringed instrument with a carved wooden body covered in goatskin and gut strings it has been modernised and popularised by Kouyaté in recent years. 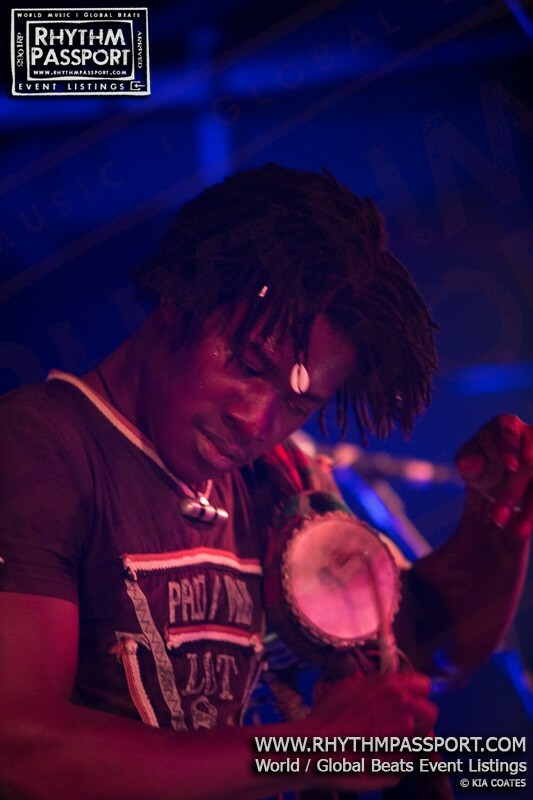 It is related to other such instruments from the Saharan regions like the xalam and guembri. 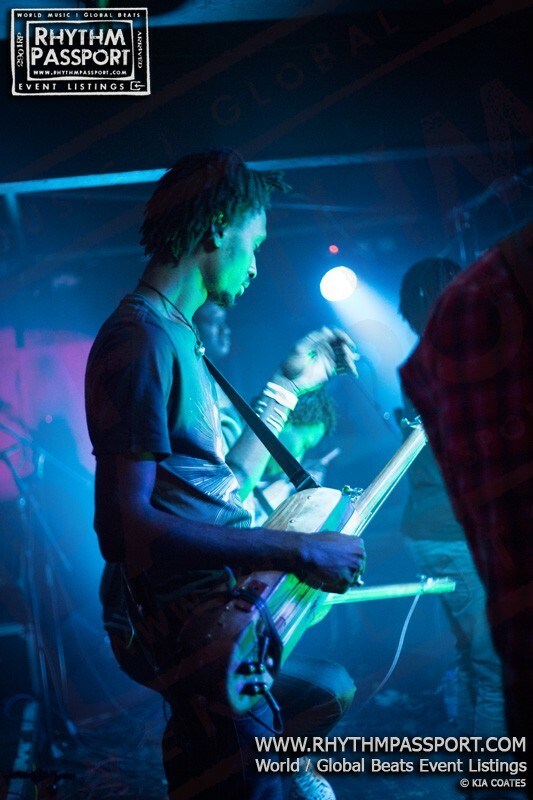 Kouyaté has reintroduced it to a whole new generation through his wonderful recordings and performances, adding a pickup, using guitar effects and standing up to play. 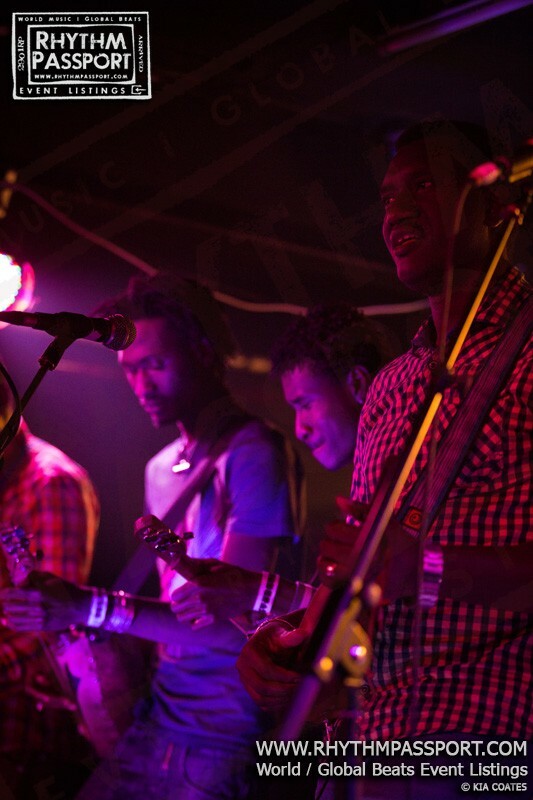 Don’t be fooled, though, into thinking this band has a gentle acoustic sound. 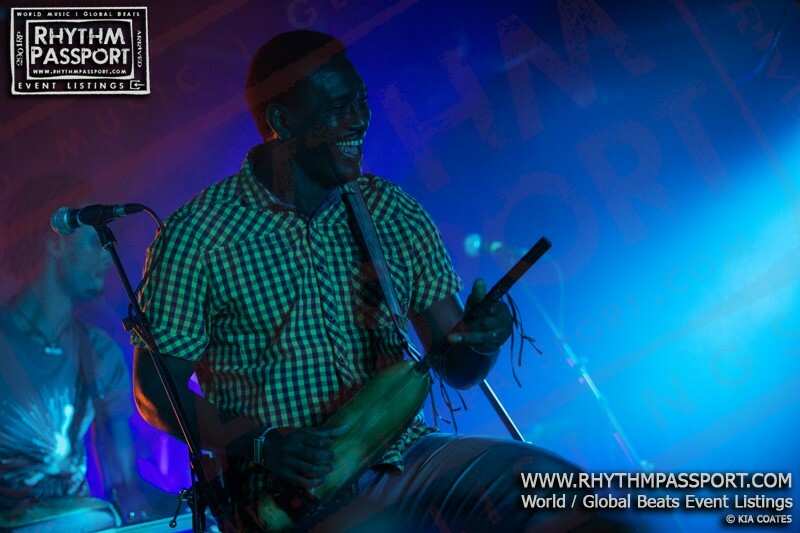 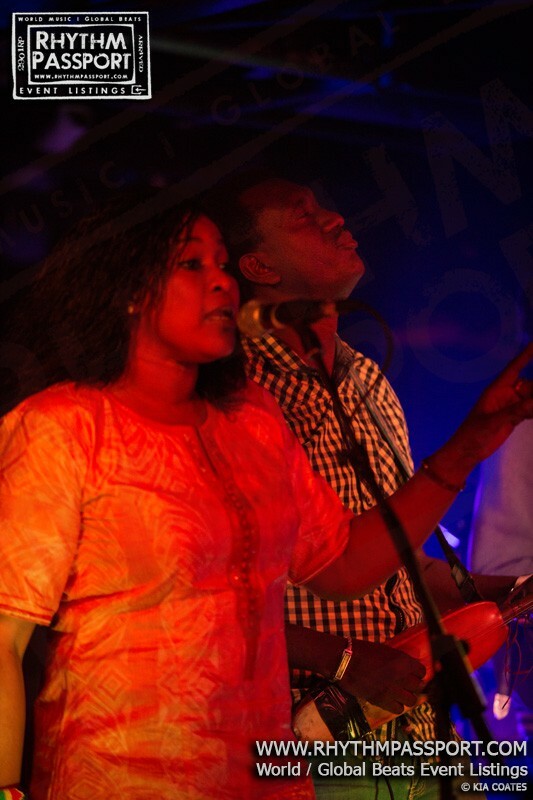 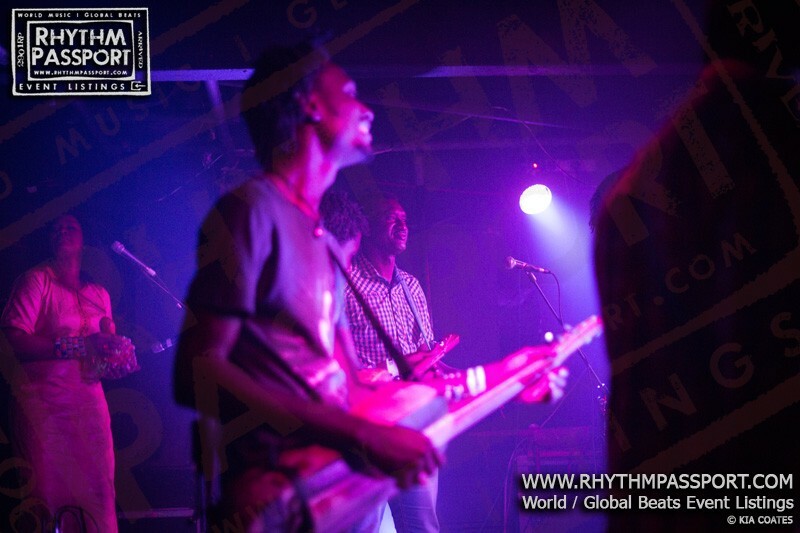 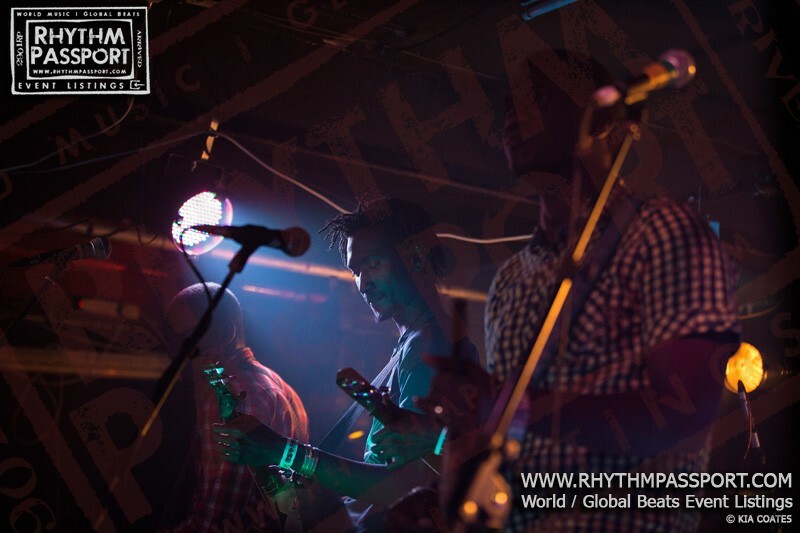 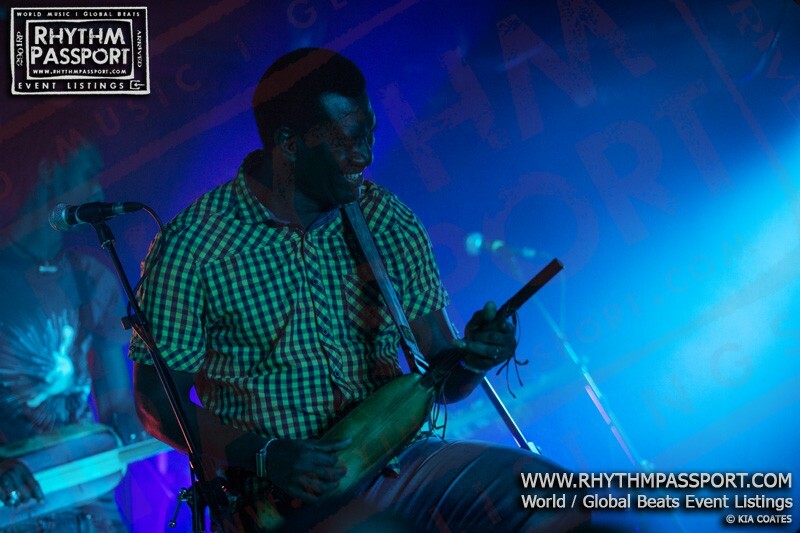 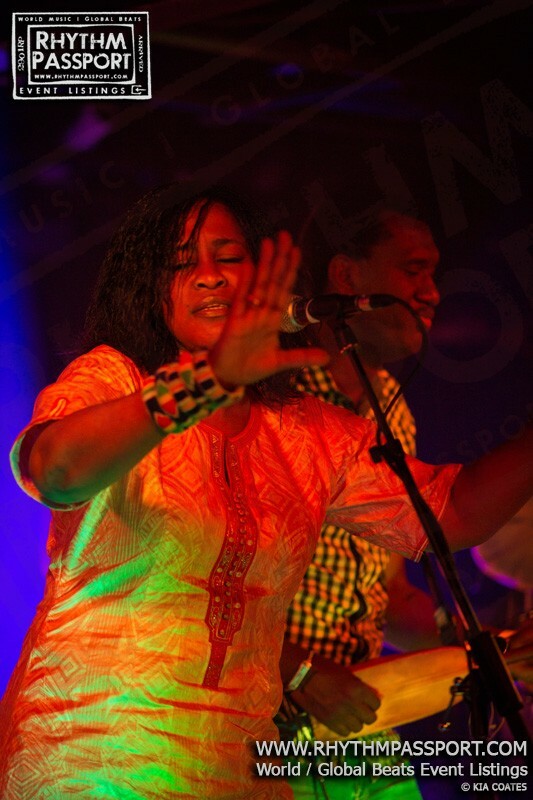 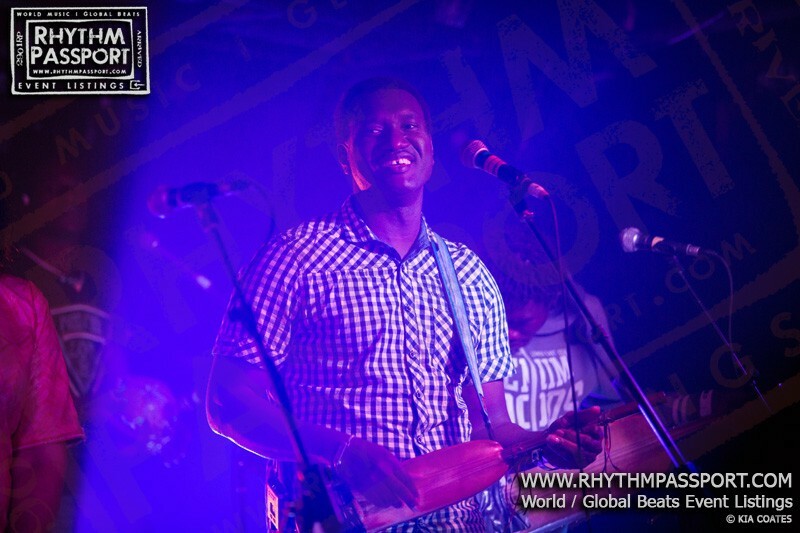 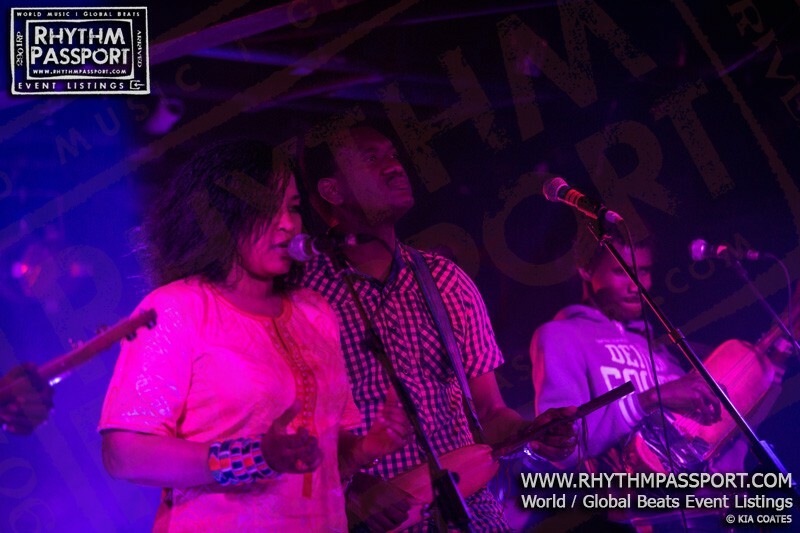 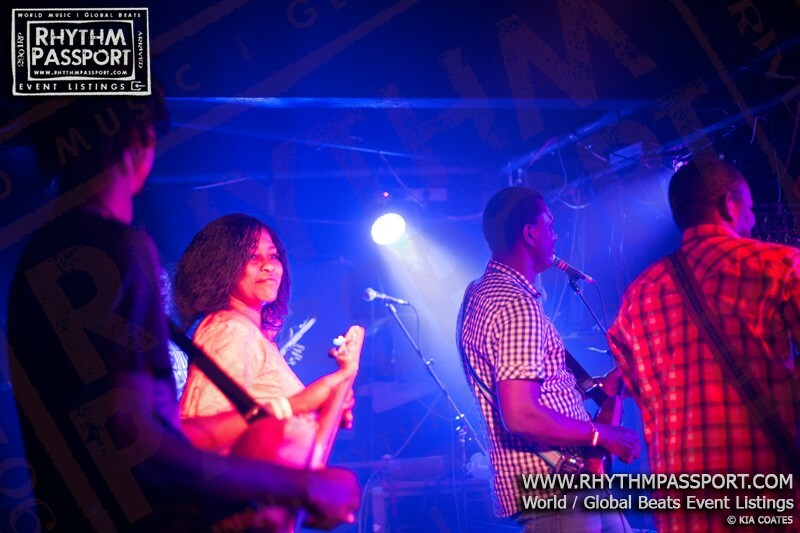 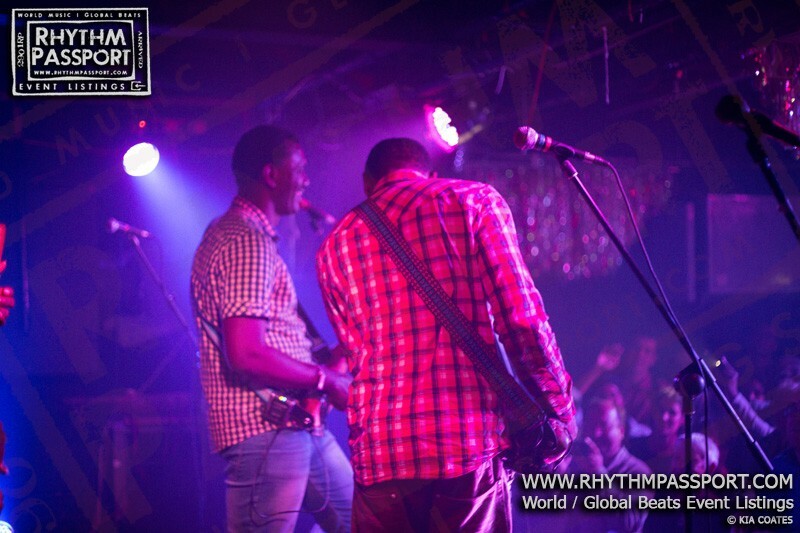 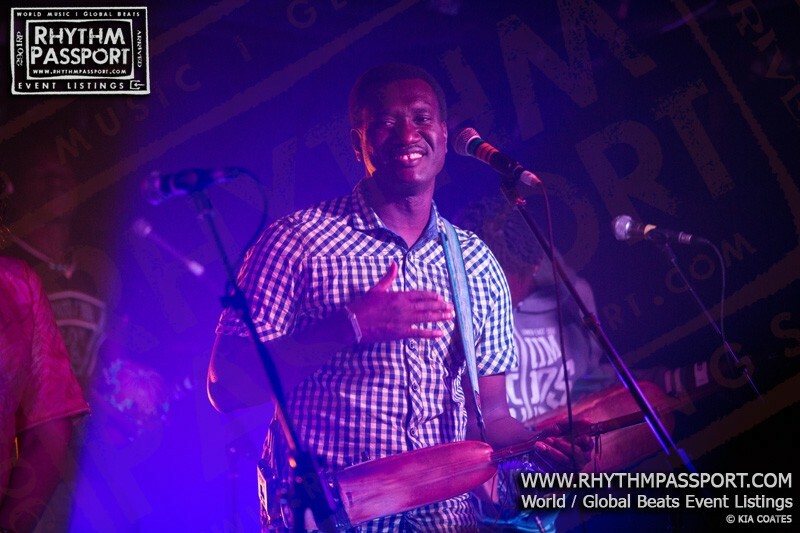 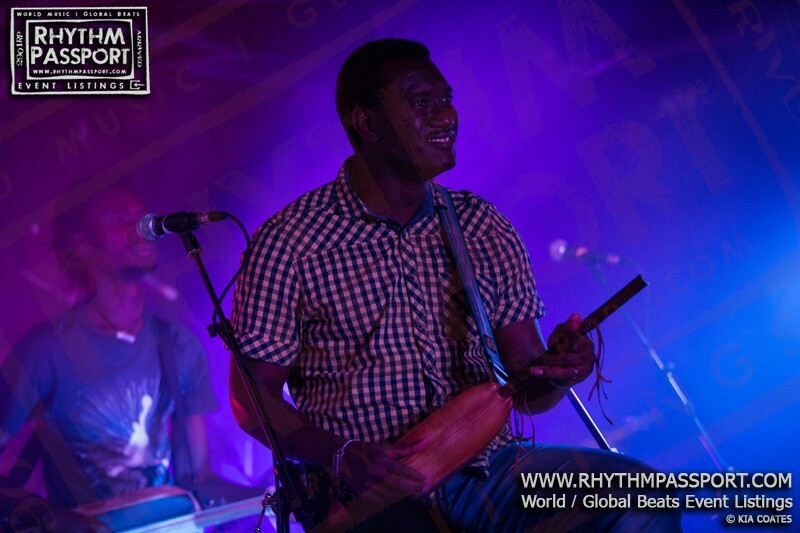 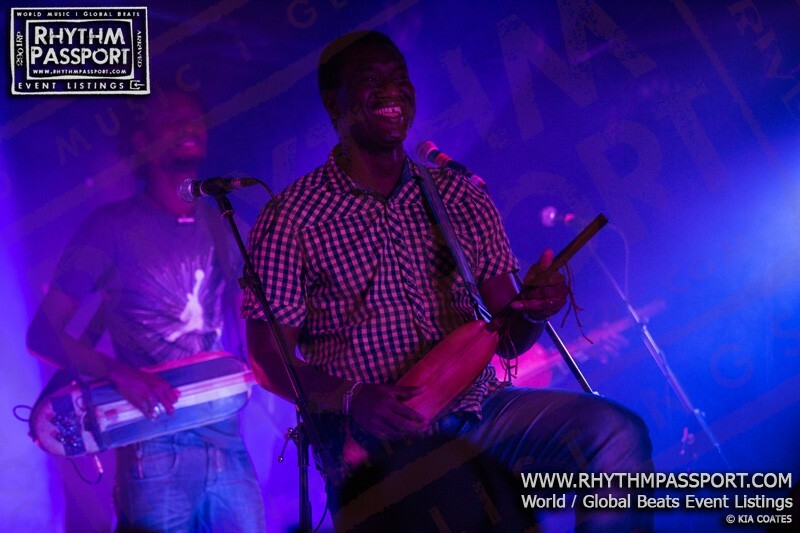 Ngoni Ba means ‘powerful ngoni’ and the band comprises a trio of bass, tenor and alto instruments. 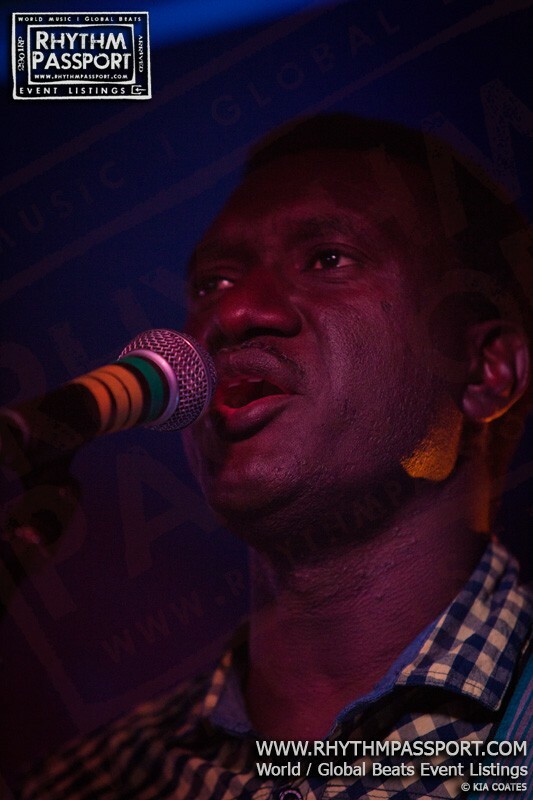 Bassekou Kouyaté himself favours the alto and is surrounded by his two sons, brothers, nephew and wife Amy Sacko. 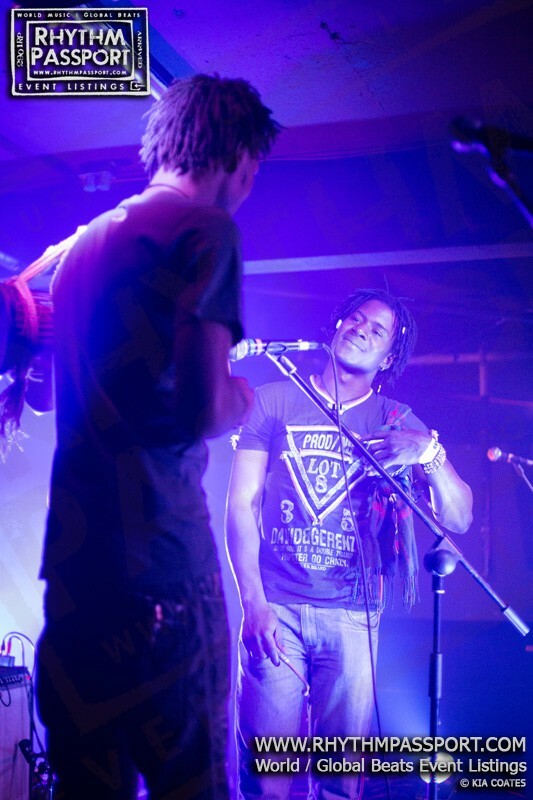 After an accomplished introduction from son no. 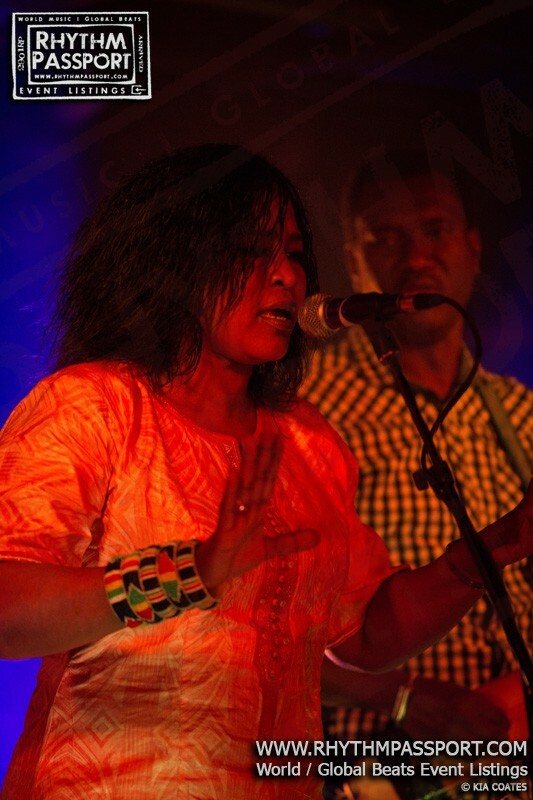 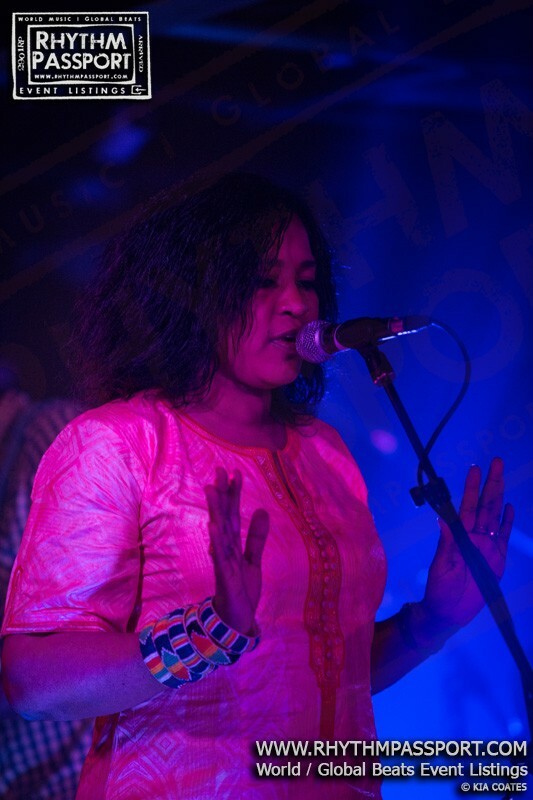 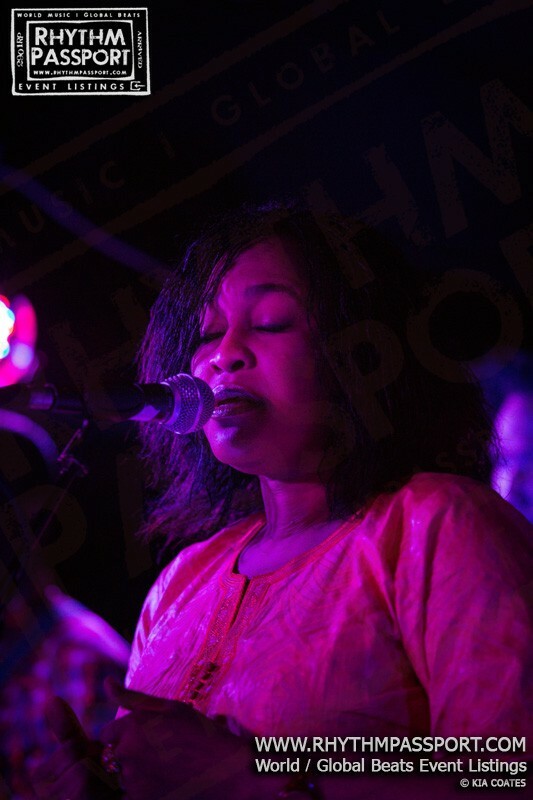 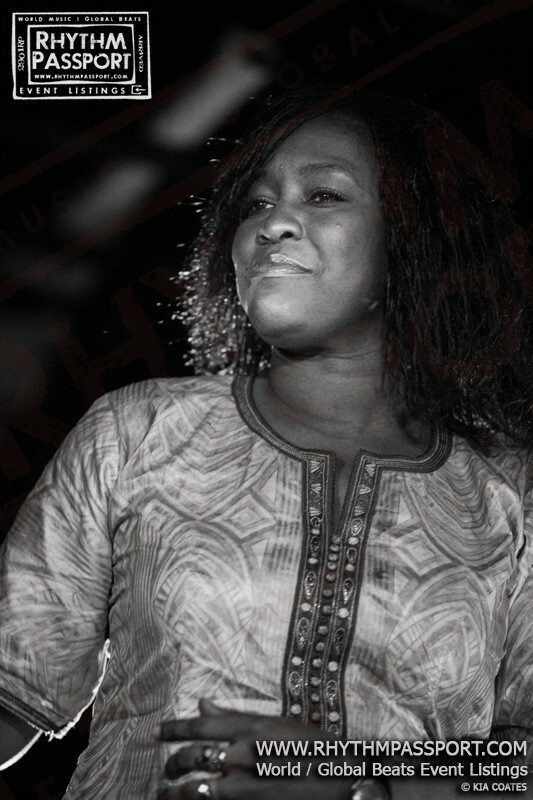 1 and a beautiful song from Amy Sacko, Kouyaté arrived on stage to a crowd buzzing with eager anticipation. 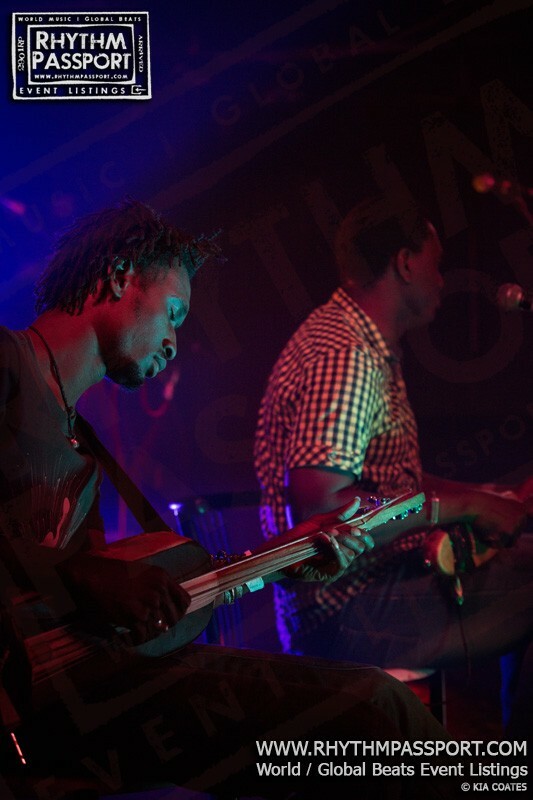 The musical lines built up to weave effortlessly in waves of high-intensity grooves that had a psychedelic quality, courtesy of the wah-wah effect on Kouyaté’s ngoni and a super-long delay on the lead vocals. 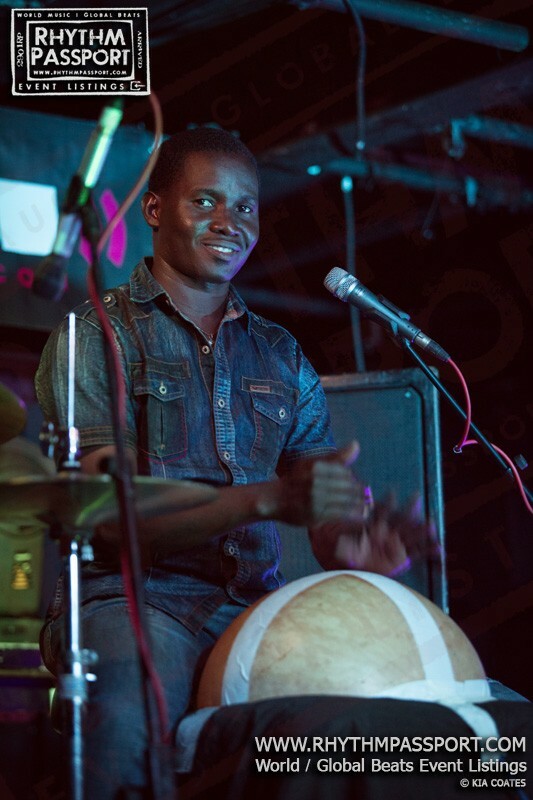 The whole sound was underpinned by the pulsing beat of Moctar Kouyaté’s calabash and Mahamadou Tounkara’s joyful talking drum, the tama. 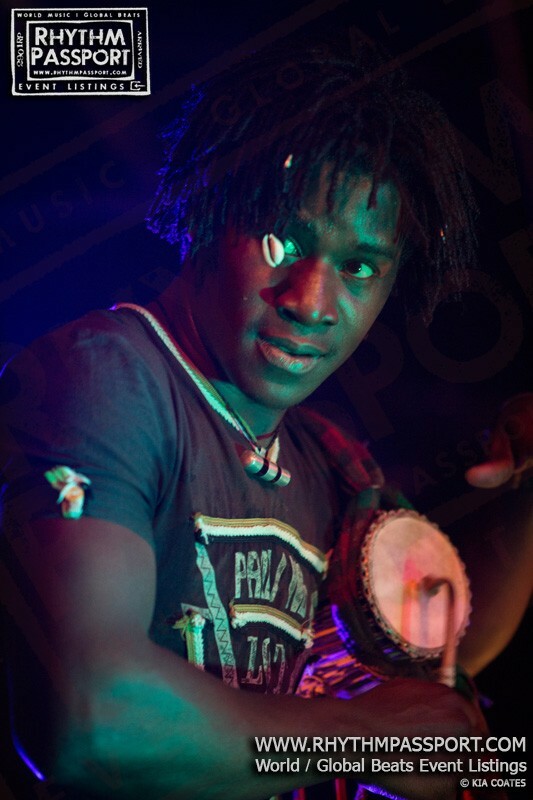 Kouyaté comes from an unbroken line of ngoni player stretching back several centuries (as he delighted in telling the audience several times) who played court music. 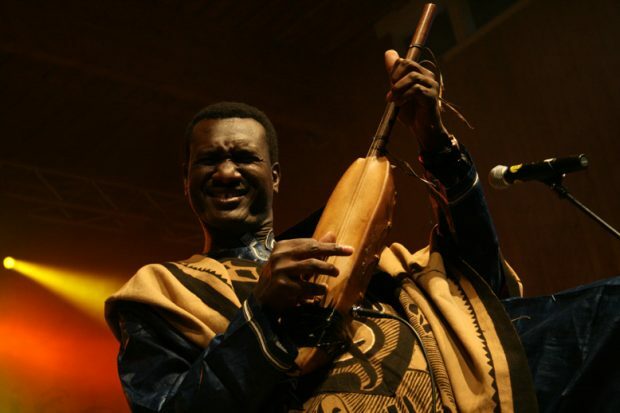 He also toured with Malian desert blues legend Ali Farka Touré. 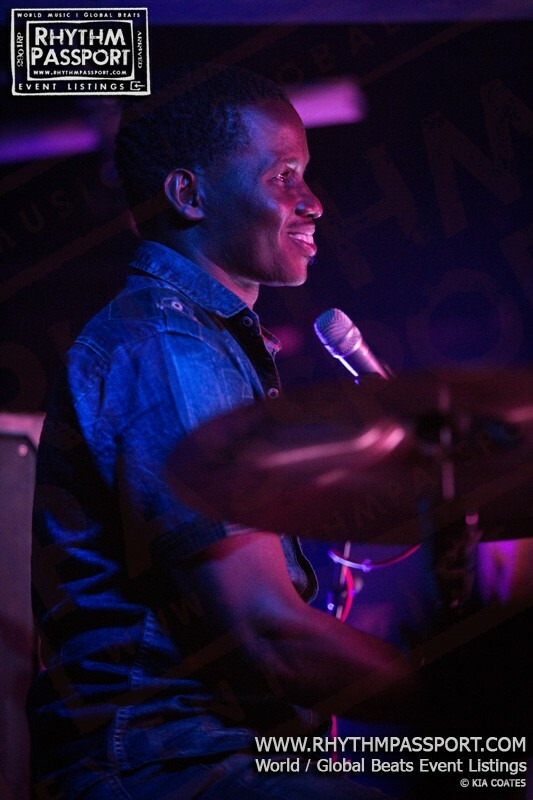 This musical heritage combined with musicianship gained through a lifetime of musical expression showed in his performance, and the band entranced the audience with rippling melodies that built and fell in cascades. 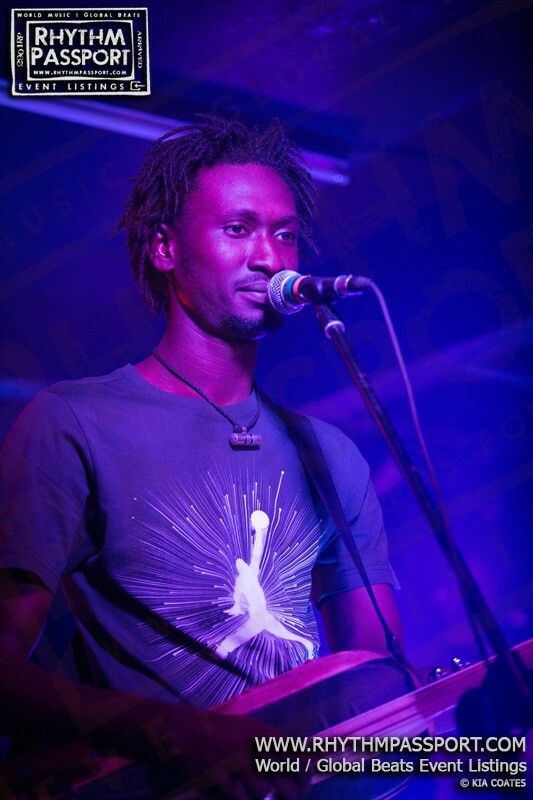 In a quieter moment Kouyaté played a song from his recent collaboration with American bluesman, Taj Mahal. 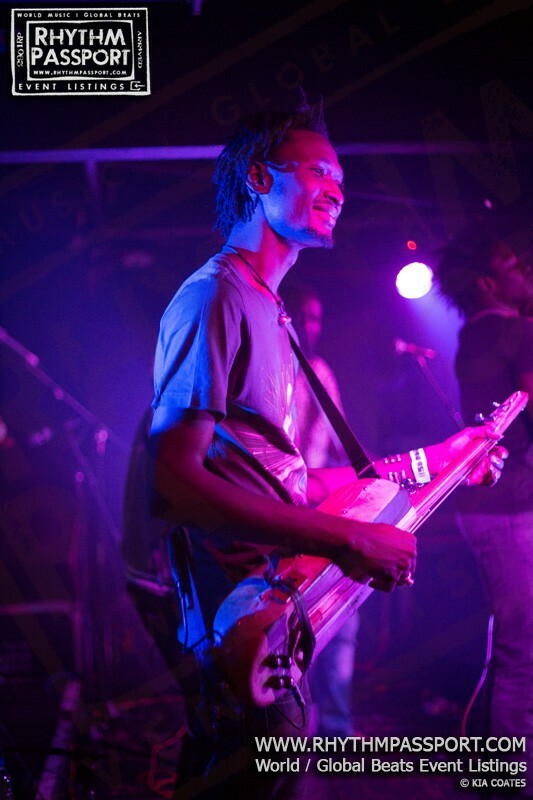 Beginning with a recognisable blues riff he soon gave in to flourishes that were unmistakeably African. 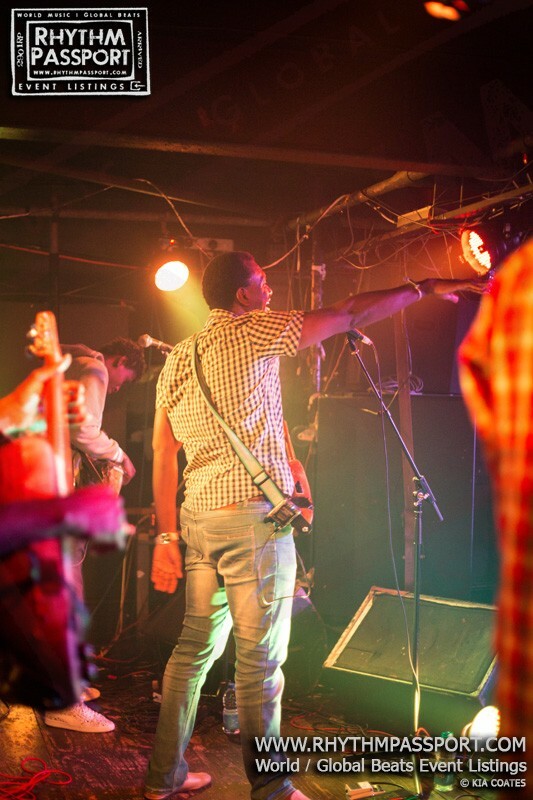 Complaining that he was not as good a singer as Taj Mahal he nevertheless assumed the gravelly sounding voice of the American to convincingly sing one bluesy track from that album. 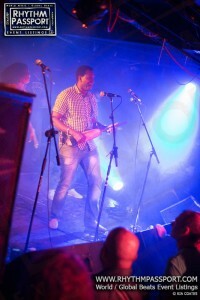 Kouyaté’s 2013 release Jama Ko was played with a higher intensity than its studio counterpart, with the ngoni sounding rockier than ever, with the wah-wah pedal in full spate. 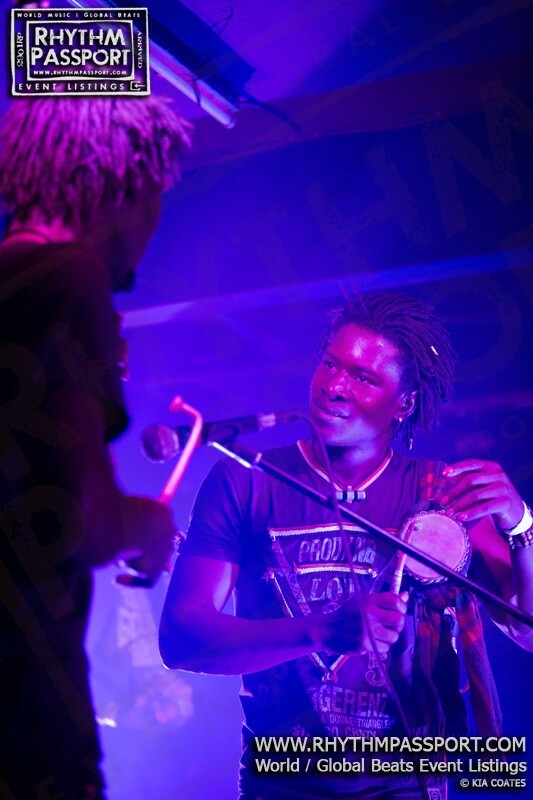 Kouyaté has often spoken of how his music communicates on two levels. 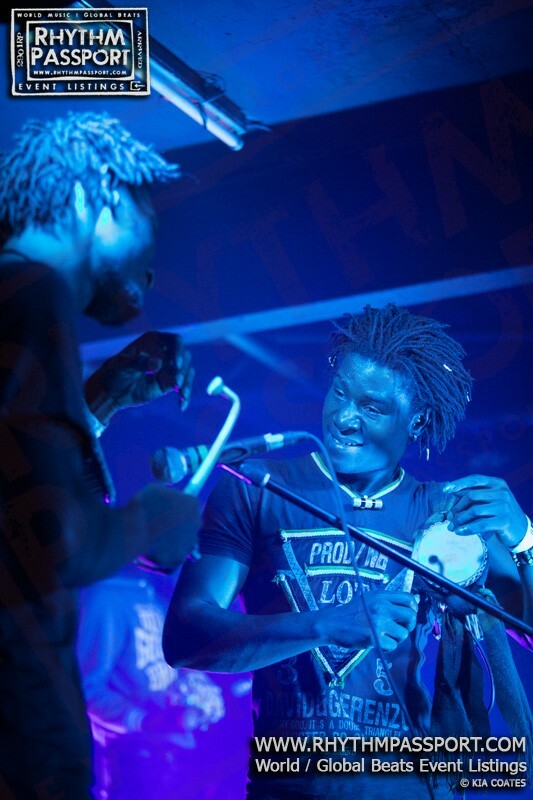 First, for those who understand his mother tongue and can grasp the lyrics and second, for those who can’t, an understanding of the musical language. 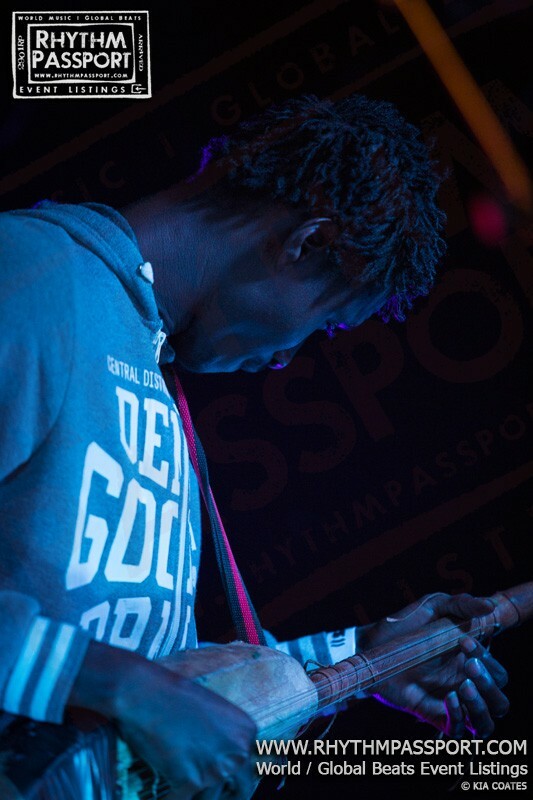 It was with this understanding that the connection with the audience was solidified using call and response, hand claps and synchronised dance moves to draw us in. 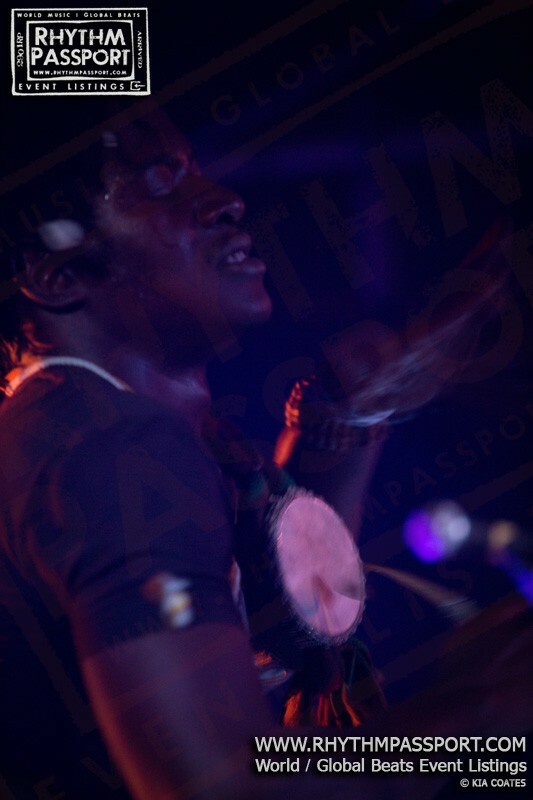 Awash with West African warmth, the experience was enhanced on a more physical level. 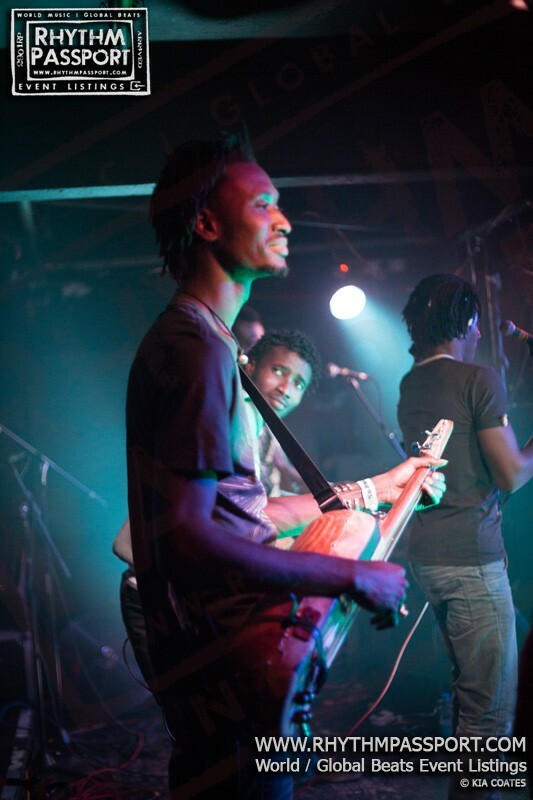 Bassekou Kouyaté several times asked “are you happy?” The crowd most certainly were. 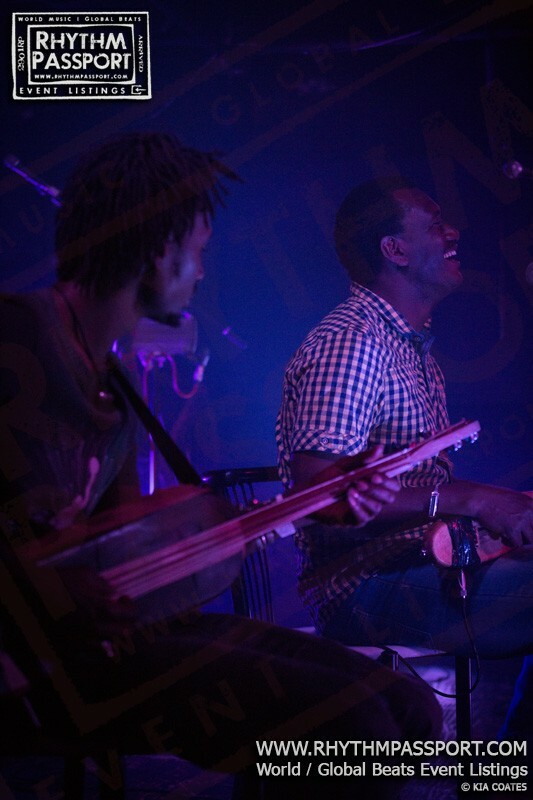 Duelling ngonis and duelling tamas added an extra playful dimension to the night, with Tounkara bringing the house down with his masterclass encore. 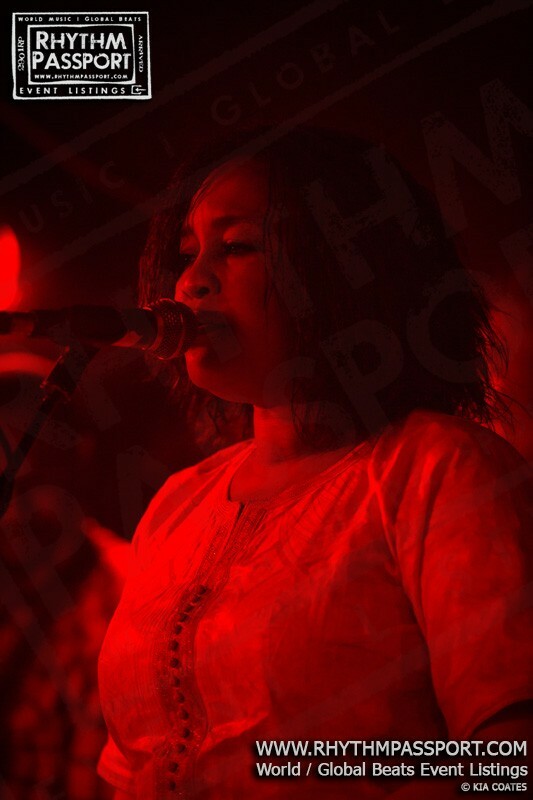 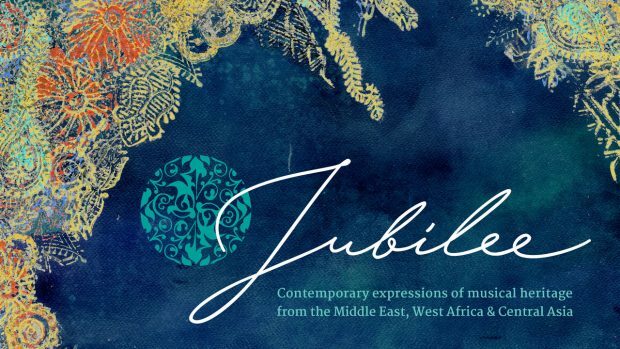 From the high energy Waati to the lilting romance of Abe Sumaya, and the stunning voice of Amy Sacko the evening’s music created a truly memorable gig. 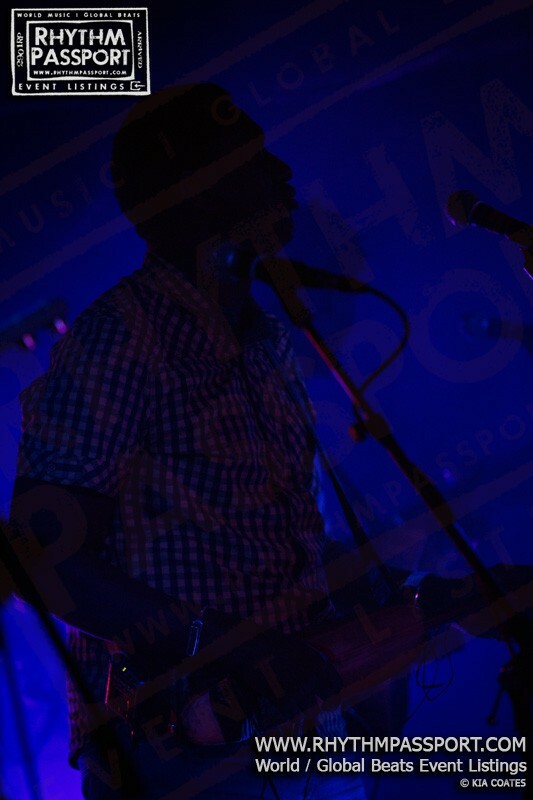 By the end of the night, this dark and dingy room was full of light.